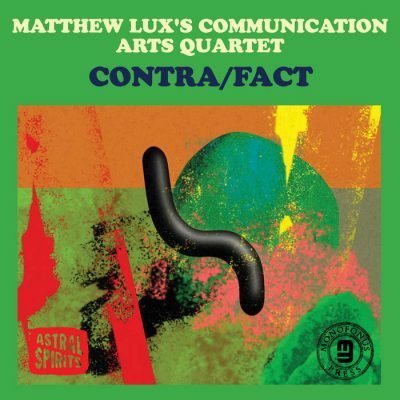 Astral Spirits is proud to ONCE AGAIN present the debut album from MATTHEW LUX as a leader, this time on vinyl. Rather than a direct transfer of the cassette version to vinyl, Lux has gone above and beyond and decided to present the same album but in an entirely different light. Lux got together with LEROY BACH (Wilco) to do an entirely new edit of the album, complete with a new running order, transitions and all. The vinyl version is a bit leaner time-wise than the cassette, but the album as a whole feels more focused and alive. 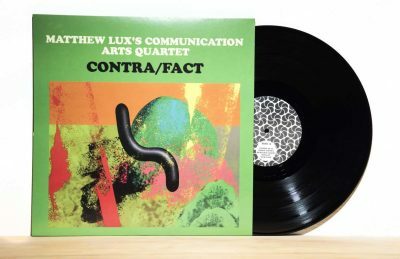 Lux’s cohorts in the Communication Arts Quartet have received a bit more recognition over the past year as well with the release of BEN LAMAR GAY‘s incredible album ” Downtown Castles Can Never Block the Sun” (International Anthem) and MIKEL PATRICK AVERY‘s continued work with Natural Information Society and more. “Contra/Fact” is indeed Matthew Lux’s long-awaited debut as a leader and it’s proven to be an incredibly important and timeless record that deserves to be heard again for the first time. In addition to the new edits of the vinyl version, Lux worked with Chicago-based video artist KIM ALPERT (www.kimalpert.com) to create an entire suite of videos to go with this new version of “Contra/Fact.” There will be an incredibly special and one time only VHS version of the album with Kim’s videos that can be purchased in conjunction with the LP. These videos give yet another life to the album that widens the scope of the entire project even further.